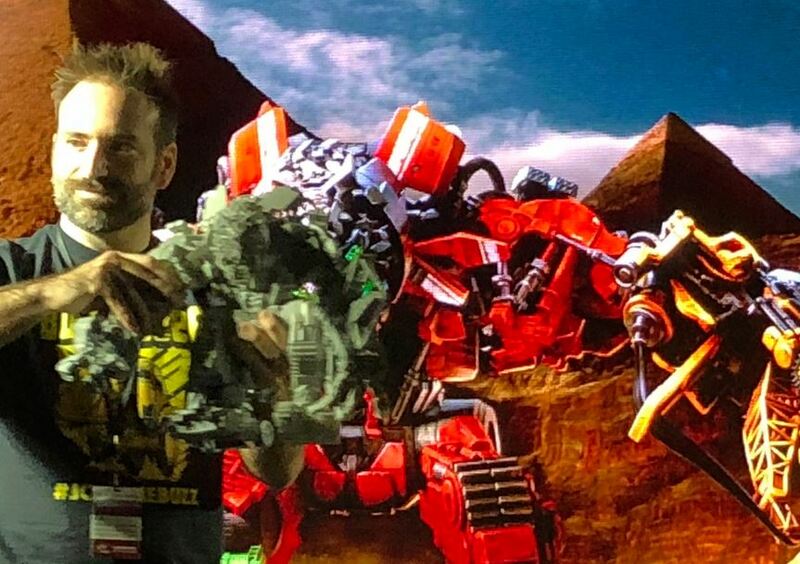 Home » Conventions » MCM Comic Con London: Transformers Studio Series Devastator and Prototype Revealed! 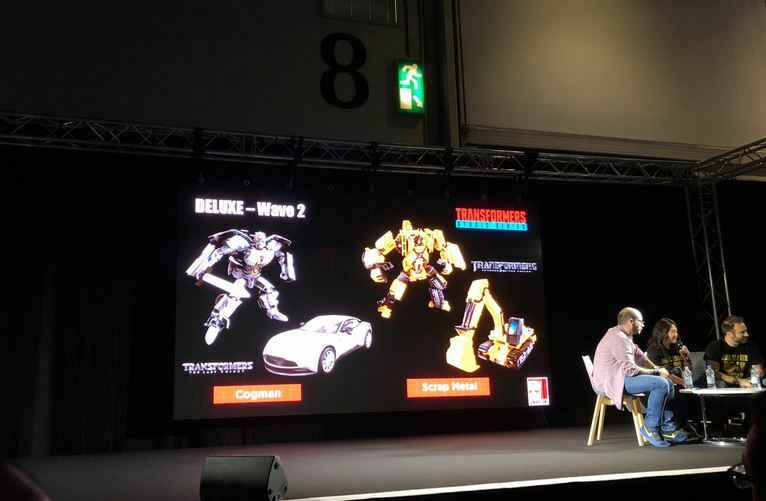 MCM Comic Con London: Transformers Studio Series Devastator and Prototype Revealed! 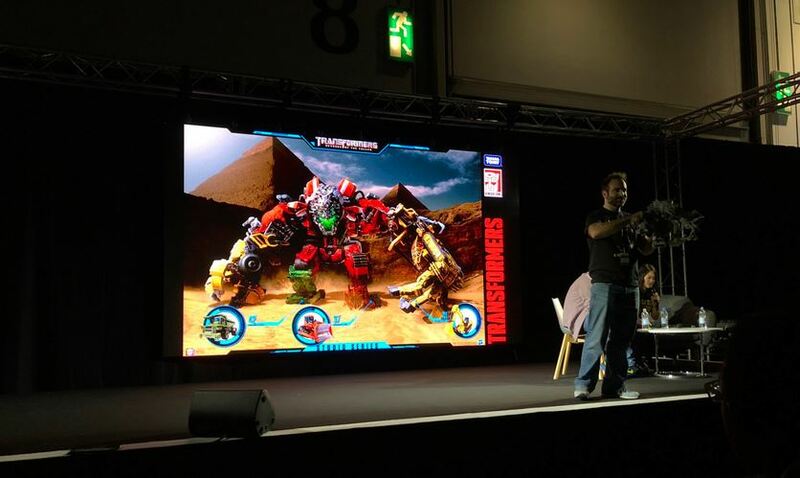 TFW2005 members Rotorstorm and JaY88 continue our on-site MCM Comic Con London coverage, from the Hasbro brand panel happening right now by sharing pictures that confirm the eight-figure strong Studio Series Devastator! Check out the pictures attached to this post and stay tuned right here for more details! 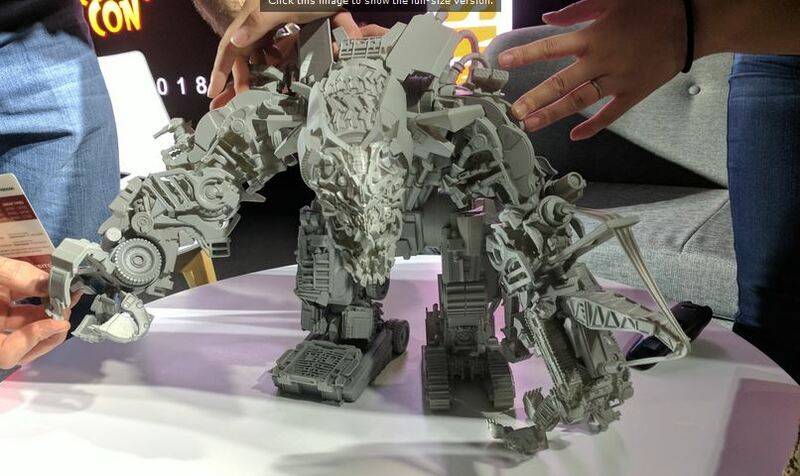 Update: Adding what is sure to be the subject of a future Leaked From Cybertron episode, Studio Series Devastator prototype pictures captured by TFW2005 member waffel who is also on-site at the convention. This is what happens when you have 2 weeks to write a movie. & there is also another yellow bulldozer on that same hill next to the yellow dump truck, & there is at least one other smaller bulldozer on the ground that forms the left hand, & I think YET ANOTHER bulldozer also on the ground that forms the left leg. 6. Yellow bulldozer on hill- ? So there is definetely alot more than just eight, let alone SIX constructicons, like we got for Supreme Devastator that was in the movie. 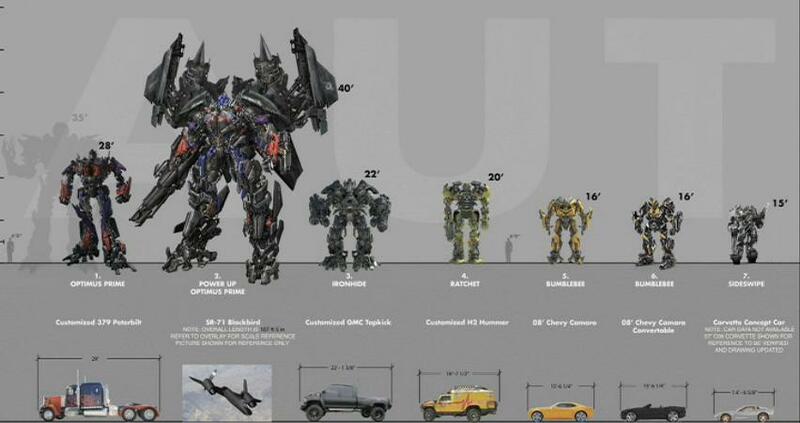 & that doesnt even include the dupe set of constructicons that were fighting else where in the movie. If my list is right devastator will be 210 if mixmaster is a deluxe. 220 if mixmaster is a voyager. 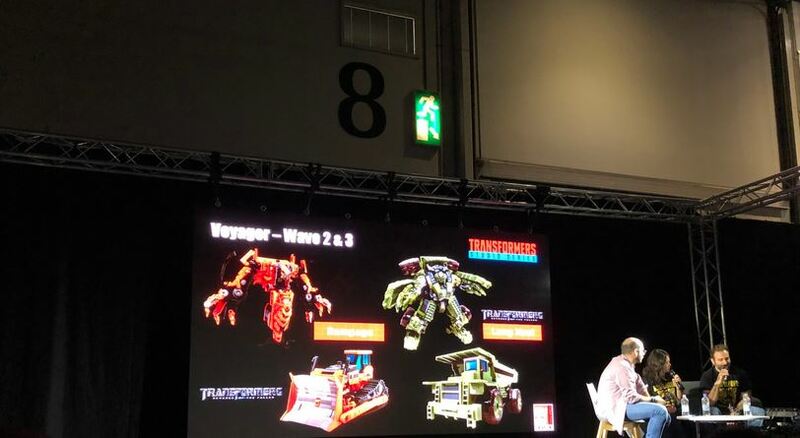 Scavenger & overload will most likely be both voyager or a leader and a voyager since scavenger is huge. So I know Shin has already taken action with multiple posts, and I just cleaned up some others, but let's keep the insults out of the discussion. Thanks. Wasn´t the point of the movie constructicons that there were multiples of the same guys? 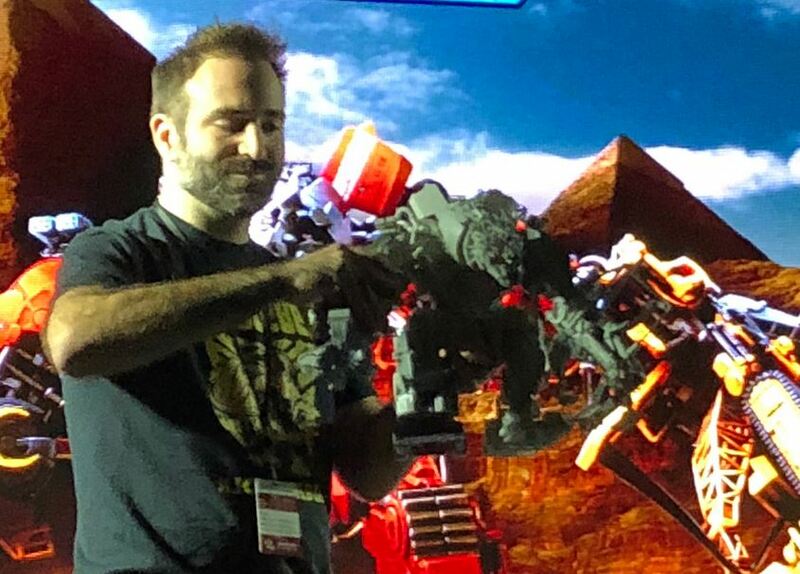 Devastator left hand is actually inaccurate to the movie. The con that formed the left hand is a bulldozer/shovel. But scrapmetal here is an excavator that transforms into the left hand. 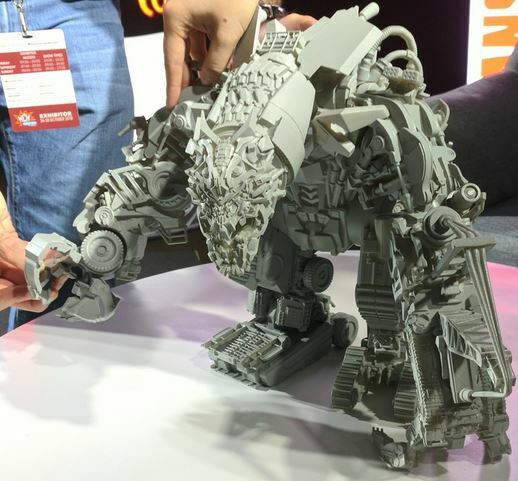 So it might be possible that Scrapmetal was revived after killed to revive Megatron. The left hand of the Devastator SS is not in line with the CGI of the film… because the latter has as its component a "crawler loader" (small bulldozer with bucket loader); but since in the film does not have its own robot mode, Hasbro used another "Constructicon secondary" for the Deluxe SS, Scrapmetal (which appeared in the TF2 ROTF scene of Megatron's recovery in the sea depths… where it was destroyed to act as "spare parts" for the deceased head of the Decepticons)! 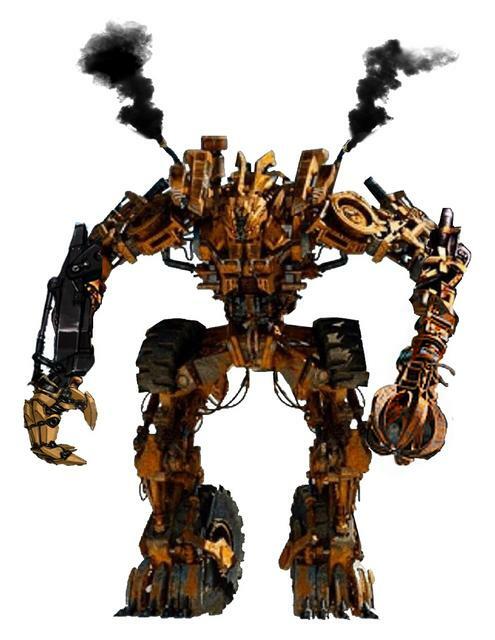 Actually in the film he was represented with the "Scrapper robotic figure", instead for the Deluxe SS the concept art of P. Ozzimo was used… but here there is another contradiction related to the alternative mode, because Scrapmetal in TF2 ROTF turns into a Volvo demolition shears and not into an excavator, which instead is an Autobot appeared in the scene of scrap deposit in TF5 TLK named "Scratch"! 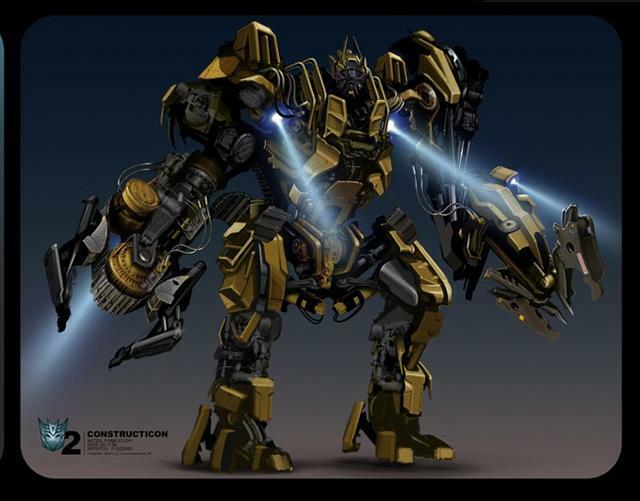 However, even the left hand of Devastator ROTF has at the ends of the fingers "excavator buckets"… so it is right that Hasbro has opted for a compromise in favor of the combiner! Yeah it's a big mess sadly. Although Scrapmetals robot mode is slightly different from scrapper. Maybe there was a more final piece of art for Scrapmetal that we haven't seen? The height charts from the Bay movies tried to be a scale chart. I am not sure if they got it right or not. I think the 1st movie tried to keep to scale, but they gave up after that. I believe the movies has/had one, but it's a bit… hmm… the movies themselves are probably more accurate since they involve actual moving pieces compared to this chart, or the toys, since there's no way they can be that intricate. Sorry, but "robot mode scale" just isn't a thing. It never was and it never will be. If it turns into a real-world vehicle, there's a scale based on that, and the alternative is simply getting it wrong. The cartoon got it wrong because they didn't care. Triple changers get it wrong because they are toys and aren't meant to have a scale. If you cannot put numbers on it and say "this is 1:x scale" and have x be a meaningful number based on a real-world object you can compare to, then the word you want isn't "scale"
The height chart from the G1 cartoon isn't a scale chart. The height charts from the Bay movies tried to be a scale chart. I am not sure if they got it right or not. I think the 1st movie tried to keep to scale, but they gave up after that.